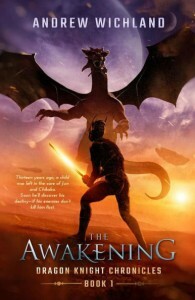 *Dragon Knight Chronicles: The Awakening (Children’s Science Fiction Deal of the Day, Sponsor) by Andrew Wichland. Price: $2.99. Genre: Children’s Science Fiction Deal of the Day, Sponsor. Rated 4.3 stars on 17 review. 122 pages. Paperback version! ASIN: B01GAFBQGA. 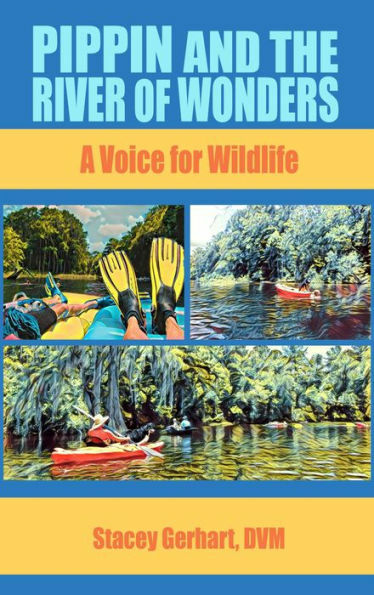 *Pippin and the River of Wonders: A Voice for Wildlife (Children’s Books Deal of the Day, Sponsor, A girl with a secret superpower, Ability to interpret animal language) by DVM Stacey Gerhart. Price: $4.49. Genre: Children’s Books Deal of the Day, Sponsor, A girl with a secret superpower, Ability to interpret animal language. Rated 5 stars on 12 review. 103 pages. ASIN: B07NDLXWFH. 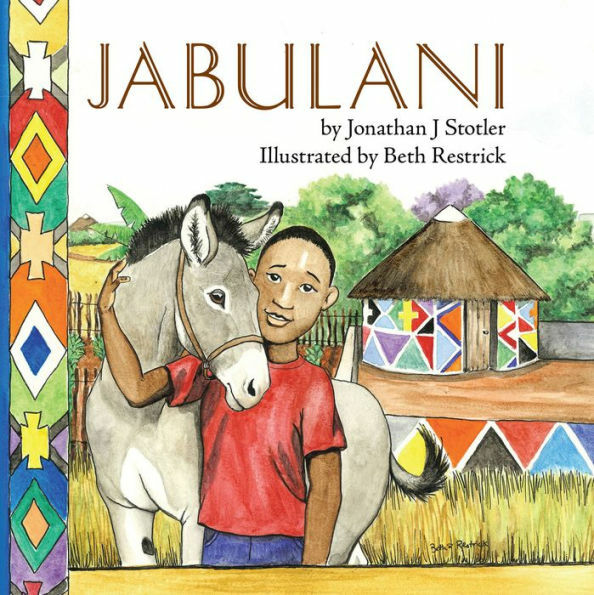 *Jabulani (Childrens Picture Books by Age 6-8 Christian Child) (Children’s Picture Book Deal of the Day, Sponsor, A day in Life of Jabulani, South Africa) by Jonathan J Stotler, Beth Restrick. Price: $3.99. 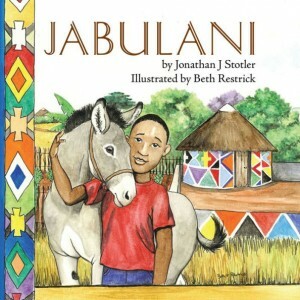 Genre: Children’s Picture Book Deal of the Day, Sponsor, A day in Life of Jabulani, South Africa. Rated: 4.8 stars on 10 Reviews. 32 pages. ASIN: B07965GC9N. *Hard Loving Cowboy: Includes a bonus novella (Small Town Romance Deal of the Day, Sponsor, Hachette, Rural Romance) by A.J. Pine. Price: $5.99. Genre: Small Town Romance Deal of the Day, Sponsor, Hachette, Rural Romance. Rated: 4.3 stars on 42 Reviews. 481 pages. Paperback version! ASIN: B07F6KR7BQ. *All Your Buttons (Romantic Erotica Deal of the Day, Sponsor, A Journey of sexual exploration, that takes them into their darkest fantasies) by Rene Bouche. Price: $2.99. Genre: Romantic Erotica Deal of the Day, Sponsor, A Journey of sexual exploration, that takes them into their darkest fantasies. Rated: 5 stars on 2 Reviews. 488 pages. Please also visit author’s website! Book 1! Book 2! Book 3! Book 4! Book 5! ASIN: B01EJXN9LU. *Chosen (Demon Hunter, #1) (Supernatural Thriller Deal of the Day, Sponsor, If you like Stephen King or Shayne Silvers) by Adam Dark, Matthew Thrush. Price: $0.99. Genre: Supernatural Thriller Deal of the Day, Sponsor, If you like Stephen King or Shayne Silvers. Rated: 4 stars on 1 Reviews. 247 pages. ASIN: B07MS5NDW2. *Angels of Light: Beyond The Veil (Mystery and Suspense of the Day, Sponsor, Supernatural Mystery) by Mark Vance. Price: $0. Genre: Mystery and Suspense of the Day, Sponsor, Supernatural Mystery. Rated: 5 stars on 2 Reviews. 172 pages. ASIN: B07K34P8YW. *If She Were Blind (The After Twelve Series Book 1) (Vigilante Thriller of the Day, Sponsor, A genre defying Page Turner, RWA 2018 Finalist) by Laney Wylde. Price: $0. Genre: Vigilante Thriller of the Day, Sponsor, A genre defying Page Turner, RWA 2018 Finalist. Rated: 4.6 stars on 32 Reviews. 173 pages. Paperback version! ASIN: B07FY82KDJ. *Andrew Murray: Destined to Win (Destined Series, #2) (Christian Biographical Fiction Deal of the Day, Sponsor, Hankering to go but needing to stay) by Olea Nel. Price: $4.99. Genre: Christian Biographical Fiction Deal of the Day, Sponsor, Hankering to go but needing to stay. Rated: 5 stars on 7 Reviews. 330 pages. ASIN: B07PSGDRNL. *HOW TO MAKE MONEY FROM HOME WITHOUT YOU DOING THE WORK (Christian Non Fiction of the Day, Sponsor, Financial Advice) by ELIZABETH EDIONWE. Price: $0. Genre: Christian Non Fiction of the Day, Sponsor, Financial Advice. Rated: 5 stars on 1 Reviews. *Live True: A Mindfulness Guide to Authenticity (New Age Mindfulness Guide Deal of the Day, Sponsor, Vividly Illustrated and Breads down the philosophy of Mindfulness, 30 Unique and Useful Meditations to Live Authentically in the Present Moment) by Ora Nadrich, PhD Ronald A. Alexander (Foreword by). Price: $17.95. Genre: New Age Mindfulness Guide Deal of the Day, Sponsor, Vividly Illustrated and Breads down the philosophy of Mindfulness, 30 Unique and Useful Meditations to Live Authentically in the Present Moment. Rated 5 stars on 47 review. ISBN: 0578432102. *The Unholy: A Novel (Supernatural Horror Deal of the Day, Sponsor, A Journey of Self Discovery) by Paul DeBlassie III. Price: $4.99. Genre: Supernatural Horror Deal of the Day, Sponsor, A Journey of Self Discovery. Rated: 4 stars on 87 Reviews. 299 pages. ASIN: B07BL2JQSB. *Case One ~ The Deceit (Trudy Hicks Ghost Hunter Book 1) (Paperback) (Horror Deal of the Day, Sponsor, Ghosts, A Search for Ghosts, are they in too deep) by Lori Zaremba. Price: $14.99. Genre: Horror Deal of the Day, Sponsor, Ghosts, A Search for Ghosts, are they in too deep. Rated: 4.8 stars on 25 Reviews. ASIN: B07NBWLTRZ. *Wild Hearts: The Coming Night (Space Adventure Deal of the Day, Sponsor, Power Rangers take on Wraiths, The Fate of the Universe hangs in the Balance) by Andrew Wichland. Price: $2.99. Genre: Space Adventure Deal of the Day, Sponsor, Power Rangers take on Wraiths, The Fate of the Universe hangs in the Balance. Rated 4.5 stars on 6 review. 145 pages. Paperback version! ASIN: B07F43CY3F. *Shadow Life (Science Fiction Deal of the Day, Sponsor, He’s torn limb by limb while making an handoff, He wakes up from a coma 14 months later with his original organs replaced with regrown tissue) by Jason Mather. Price: $1.99. Genre: Science Fiction Deal of the Day, Sponsor, He’s torn limb by limb while making an handoff, He wakes up from a coma 14 months later with his original organs replaced with regrown tissue. Rated: 4.5 stars on 21 Reviews. 306 pages. Paperback version! ASIN: B077BWJ3RS. *Elji and the Galrass (Science Fiction Deal of the Day, Sponsor, Elji discovers a tool that can only be wielded by those who understands its power) by Colin Sinclair. Price: $3.99. Genre: Science Fiction Deal of the Day, Sponsor, Elji discovers a tool that can only be wielded by those who understands its power. Rated 5 stars on 1 review. 197 pages. Paperback version! ASIN: B07DZJ6LRZ. *Lumen and the Thistle (Fantasy of the Day, Sponsor, A Fable, A Journey to another land, A man who can see panels of light) by EJ Wozniak. Price: $0. Genre: Fantasy of the Day, Sponsor, A Fable, A Journey to another land, A man who can see panels of light. Rated: 4.9 stars on 19 Reviews. 249 pages. ASIN: B07LDHM4QL. *Smiling Ghosts (Science Fiction Deal of the Day, Sponsor, The world is not what it seems, Neither is Miranda’s new boyfriend, Second apocalyptic death) by Bridgette Ehly. Price: $0.99. Genre: Science Fiction Deal of the Day, Sponsor, The world is not what it seems, Neither is Miranda’s new boyfriend, Second apocalyptic death. Rated: 5 stars on 5 Reviews. 365 pages. ASIN: B07HNFKV7S. *The Seer, Chapters 1-9 (The Other Side of Red, #1) (Fantasy of the Day, Sponsor, As a baby, she was hidden from those who knew her, She grew up with a power no one believed in) by A. R. Curtis. Price: $0. Genre: Fantasy of the Day, Sponsor, As a baby, she was hidden from those who knew her, She grew up with a power no one believed in. Rated: 4.5 stars on 4 Reviews. 411 pages. ASIN: B07KFRDF91. *Another Day, Book 1 (Delta Flight) (Military Science Fiction Deal of the Day, Sponsor, Nuclear Missiles are Flying, As are Aliens, Technology beyond our wildest imaginations) by Terry A Perrine, Brian Paone. Price: $3.99. Genre: Military Science Fiction Deal of the Day, Sponsor, Nuclear Missiles are Flying, As are Aliens, Technology beyond our wildest imaginations. Rated: 5 stars on 1 Reviews. 211 pages. Paperback version! ASIN: B07PJ57S19. **A Darker Shade of Sorcery (The Realmers Series, #1) (Fantasy of the Day, Sponsor, Dark Fantasy, Everyone wants to kill, capture Evan, from demons to Dark Venators and even people he’s supposed to trust) by William Collins. Price: $0. Genre: Fantasy of the Day, Sponsor, Dark Fantasy, Everyone wants to kill, capture Evan, from demons to Dark Venators and even people he’s supposed to trust. Rated: 4 stars on 92 Reviews. 410 pages. ASIN: B01A3L1PS6. *The Novice Ghost Hunter (Paranormal Suspense of the Day, Sponsor, A novice ghost hunter finds more than he expected when he is talked into examining a haunted house) by Martin J. Best. Price: $0. Genre: Paranormal Suspense of the Day, Sponsor, A novice ghost hunter finds more than he expected when he is talked into examining a haunted house. Rated: 4.7 stars on 9 Reviews. 54 pages. ASIN: B01MXW0R7S. ***Cold Lonely Courage: Novel war (ENC.ROMANS) (Historical Fiction Deal of the Day, Sponsor, A dark and emotional account of many aspects of WW II and its horrors) by Soren Paul Petrek. Price: $7.49. Genre: Historical Fiction Deal of the Day, Sponsor, A dark and emotional account of many aspects of WW II and its horrors. Rated: 4.4 stars on 326 Reviews. 364 pages. ASIN: B07MTML6CJ. *Hitherto & Thitherto (Literary Fiction Deal of the Day, Sponsor, A young woman witnesses the demise of America) by OZAIR SIDDIQUI. Price: $9.00. Genre: Literary Fiction Deal of the Day, Sponsor, A young woman witnesses the demise of America. Rated 5 stars on 1 review. 204 pages. ASIN: B073N9FNGB. *Emotional Dimensions of Healthcare (Nonfiction Deal of the Day, Sponsor, An insightful and profoundly meaningful pathway to better health, lower costs, and a deeper connection between physician and patient, Written by the former Deputy Commissioner of the NYS Office of Mental Health) by David Woodlock. Price: $3.99. Genre: Nonfiction Deal of the Day, Sponsor, An insightful and profoundly meaningful pathway to better health, lower costs, and a deeper connection between physician and patient, Written by the former Deputy Commissioner of the NYS Office of Mental Health. Rated 5 stars on 1 review. 254 pages. Paperback version! ASIN: B072397JM4. *I Was a Teenage JFK Conspiracy Freak (Nonfiction Deal of the Day, Sponsor, For anyone who’s still concerned with JFK’s death and thinks it’s a mystery) by Fred Litwin. Price: $2.99. Genre: Nonfiction Deal of the Day, Sponsor, For anyone who’s still concerned with JFK’s death and thinks it’s a mystery. Rated: 4 stars on 14 Reviews. 274 pages. ASIN: B07HBS6QY4. *Leadsology: Marketing The Invisible (Nonfiction Deal of the Day, Sponsor, How to ethically create a magnetic-like attraction that’s irresistible to ideal clients, Comprehensive How To Guide to Inbound Lead Generation) by Tom Poland. Price: $9.99. Genre: Nonfiction Deal of the Day, Sponsor, How to ethically create a magnetic-like attraction that’s irresistible to ideal clients, Comprehensive How To Guide to Inbound Lead Generation. Rated: 5 stars on 2 Reviews. 330 pages. ASIN: B07H4CQLW6. *Walk, Climb, Or Fly: Surviving and Thriving in the Workplace Wilderness (Non Fiction Deal of the Day, Sponsor, Business Operations Research, How to Communicate Better at Work and be More Successful) by Leigh Durst. Price: $1.99. Genre: Non Fiction Deal of the Day, Sponsor, Business Operations Research, How to Communicate Better at Work and be More Successful. Rated: 5 stars on 2 Reviews. 405 pages. Paperback version! ASIN: B07P72K2S4. *The Soulful Leader: Success with Authenticity, Integrity and Empathy (Nonfiction Deal of the Day, Sponsor, Authenticity, Integrity and Empathy Formula, Successfully optimize the potential of your employees) by Arthur P. Ciaramicoli. Price: $8.99. Genre: Nonfiction Deal of the Day, Sponsor, Authenticity, Integrity and Empathy Formula, Successfully optimize the potential of your employees. Rated: 4 stars on 5 Reviews. 131 pages. ASIN: B07N8YG5J1.